Source: Wet plate glass negative by George N. Barnard. November 1864. 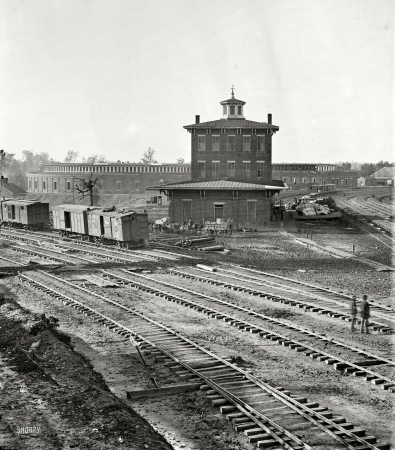 "Railroad yards at Atlanta. The Roundhouse. Ruins of depot, blown up on Sherman's departure."